My husband and I have a super sweet tooth, last night we were craving for chocolate. It was a result of going through this cookbook which I recently got, my my my every picture and recipe was so tempting and since I had the ingredients of this recipe handy I went ahead with it. I cannot rave enough about this souffles and if you are chocolate person you must try this. The best part is you can have it as soon as its made, no freezing required. 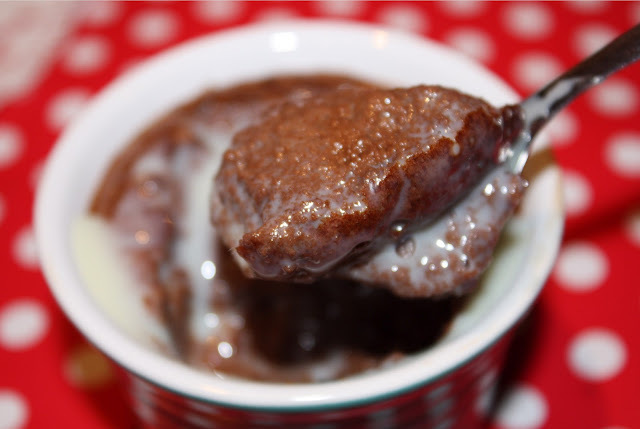 Its moist and creamy with a lovely chocolate flavor ~ made me go bonkers!!! Take a grease free bowl and whisk the egg whites with an electric whisk until soft peaks form. Gradually whisk the remaining caster sugar until the mixture is stiff. 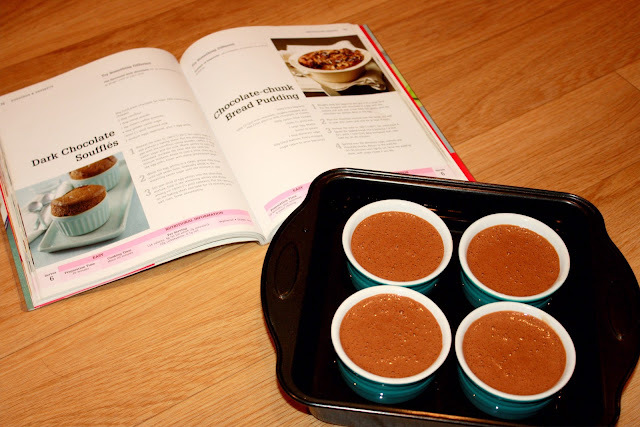 Lovely recipe thats gluten free!